If I had to make a list of the best 3 games of all time, this would be on it. I’m not sure where it would be exactly, but it would be with Pyro II (PC) and Chaos (Spectrum). I paid the princely sum of £15 for this game, which is £15 more than those other two games, but one was on a covertape and the other is PD. Which goes to show, you don’t need to spend a fortune to play excellent games. 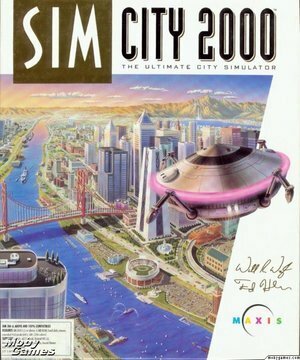 So, the sequel to Sim City sees you thrust into a 3D landscape on which you must build your city. 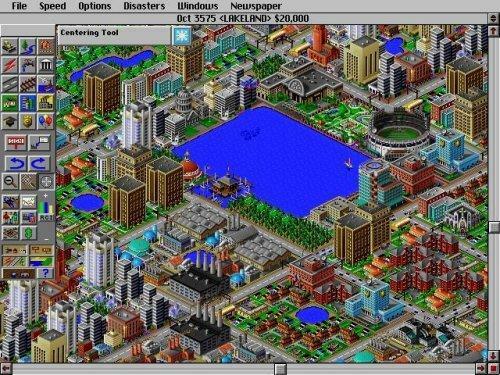 As before, you need the basic ingredients… Power, roads and zones, but if you want your city to flourish you will need Police and Fire protection, provide water resources and maybe even park facilities. Oh, wait, that’s not all you can offer… how about hospitals? 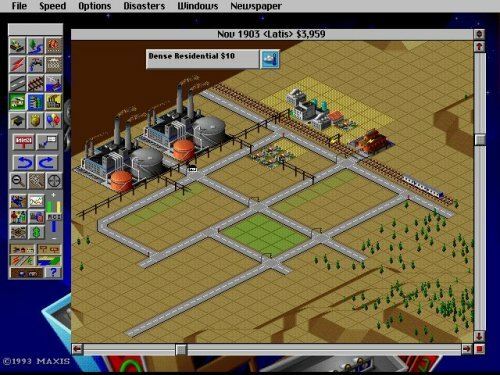 These Sims are a demanding bunch, and will demand you provide them with such amenities and entertainment as Stadiums, Marinas, Airports, Seaports, Zoos and parks, lest they take their presence, and indeed income tax, elsewhere. It’s all about striking that careful balance… Keep taxes at a level the Sims are willing to pay, get enough of a balance between residential, industry and commerce to keep the Sims both happy and employed, educate them in schools, protect them with police and fire brigades, and generally look after their well-being. So, you’ve managed to strike some sort of balance, and you’re actually pulling in a profit… are you out of the woods yet? You need to make enough every 50 years to afford a new power plant, because that’s how long they last! The more you delve into the game, the more you discover… some zones are boosted by the presence of military bases, while others suffer a detrimental effect. Balancing Taxes and the income and expenses from City Ordinances is tricky, certain ordinances will boost your population and their opinion of you, their mayor, but will cost you money. Others will not endear you to your citizens, but will make you a little extra dosh.